Within the past 30 Years, we have witnessed a digital boom, A world surrounded by multi-billion-dollar businesses that sprang up seemingly overnight from a single person’s novel idea. 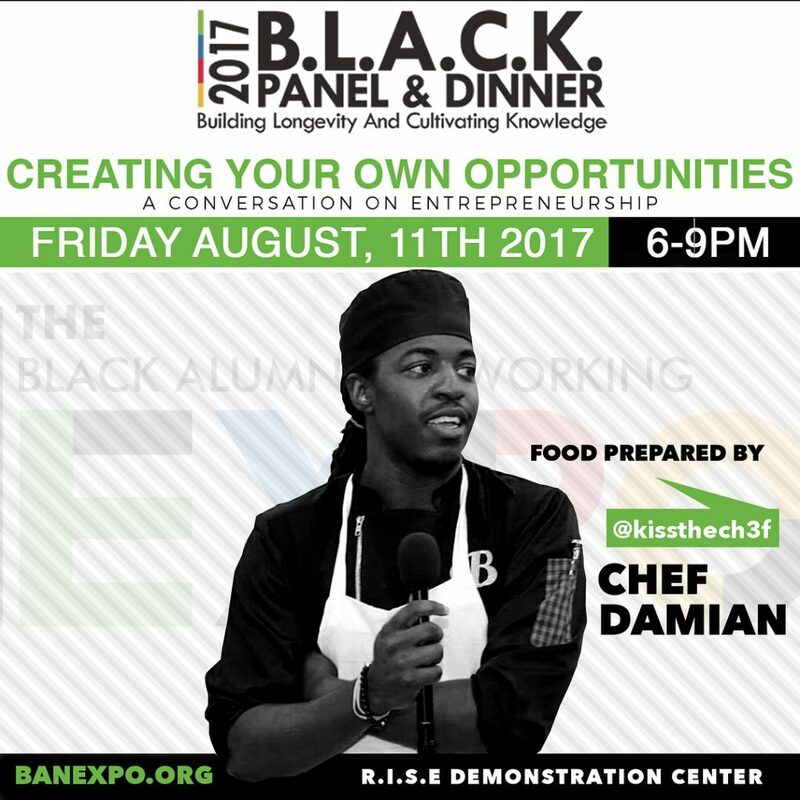 The 2017 Black Alumni Networking Expo Weekend kicks off with The B.L.A.C.K Panel Discussion and Dinner Friday, August 11th, 2017. Join us for a riveting dialogue on entrepreneurship featuring industry leaders at R.I.S.E. Demonstration Center. This unique event allows 100 striving, Entrepreneurs, Creatives, and general body to join in on an important conversation on how to build your name, brand, and take the initial steps towards Entrepreneurship for your career. Moderator Krystal Glass will present various topics where all panelist and guest will engage on through personal experience. Looking forward to having everyone come out and enjoy our kickoff event.